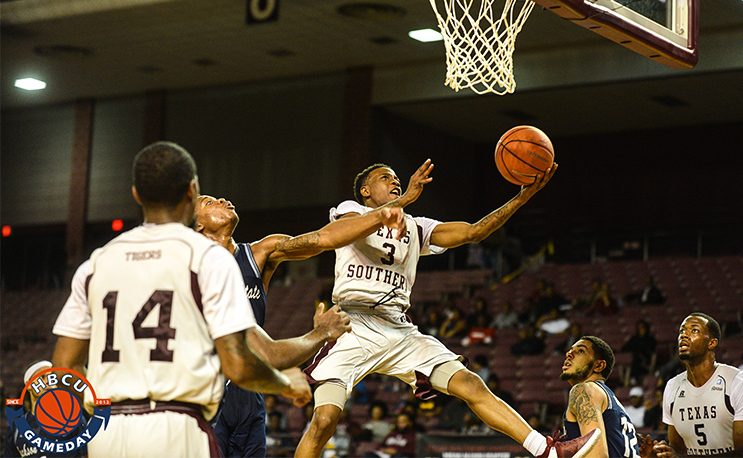 Texas Southern is down further in the SWAC standings than many thought, but it is not out. Texas Southern looked like the team we expected to see in February on Saturday night against Jackson State, thanks in large part the return of its big gun. TSU defeated JSU 86-75 at HPE Arena on Saturday night with a trio of 20-plus point scorers, including newly-reinstated Trae Jefferson. Donte Clark led the way with 26 points, nine rebounds, five assists and three steals for TxSU. Trayvon Reed had a stellar performance as well, putting up 21 points, 7 rebounds and three blocks in the win. The “best team” that Texas Southern can be clearly included Jefferson, who had been suspended indefinitely and missed the team’s last five games for an unspecified violation of team rules. The sophomore guard from Milwaukee was the eighth leading scorer in college basketball at over 23 points per game when he was sat down following the Grambling State game. He picked up right where he left off on Saturday, scoring 25 points and dishing out six assists with zero turnovers and picking up two steals for good measure. TxSU is currently 7-17, ranked third in the SWAC at 7-4 with just over a month left. Grambling and UAPB are currently both 9-3 in the SWAC. It may not be able to win its fifth straight SWAC regular season title, but even as a second or third seed, it will be the one team everyone else will look to avoid. As long as it has all of its parts together.